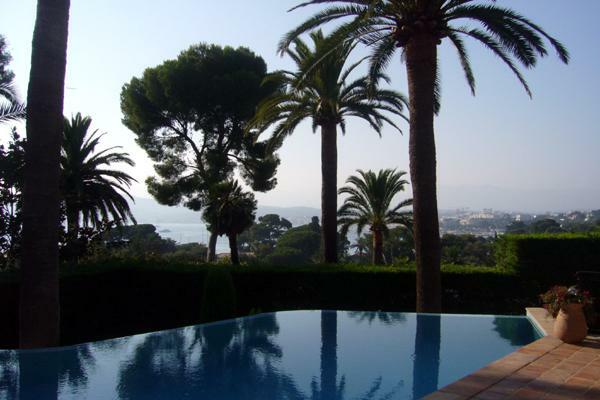 This modern, well-equipped villa is ideally situated on the famous Cap d'Antibes, only 100m from the Grand Hotel du Cap and a short walk from the beach and the entertaining town of Juan les Pins. 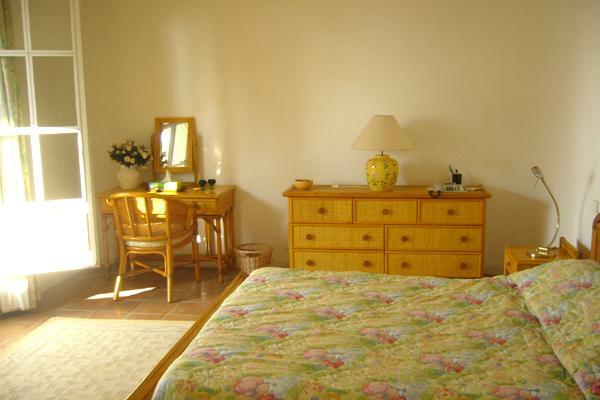 The rooms are light and airy, and decorated in a simple but comfortable style, with bright coloured furniture, which creates a cosy atmosphere. 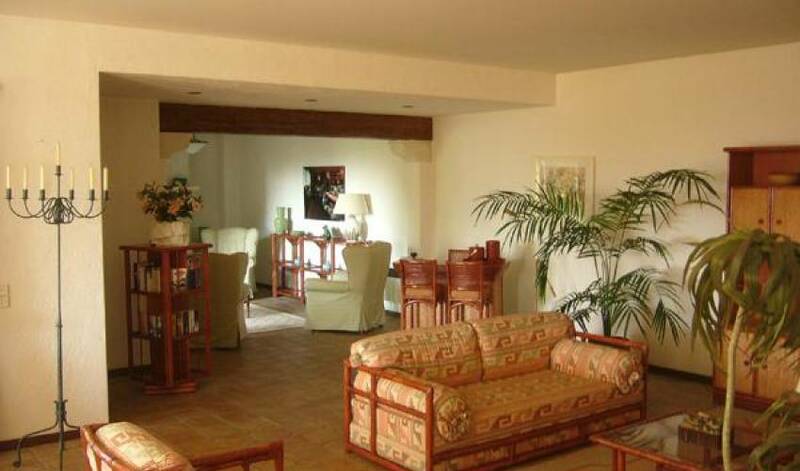 The living room and dining room have large bay windows which overlook the pool area and the Mediterranean sea beyond. 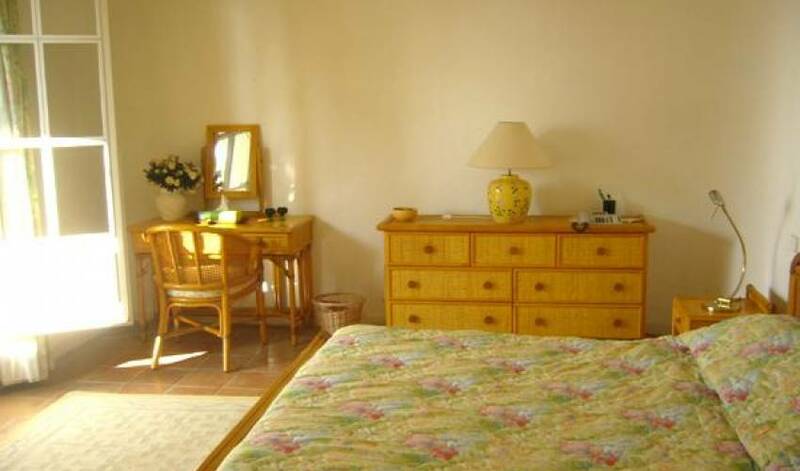 All the bedrooms have en-suite facilities and the majority have air-conditioning. The spacious master bedroom is a particular delight with its own stone balustrade terrace and wonderful sea views. 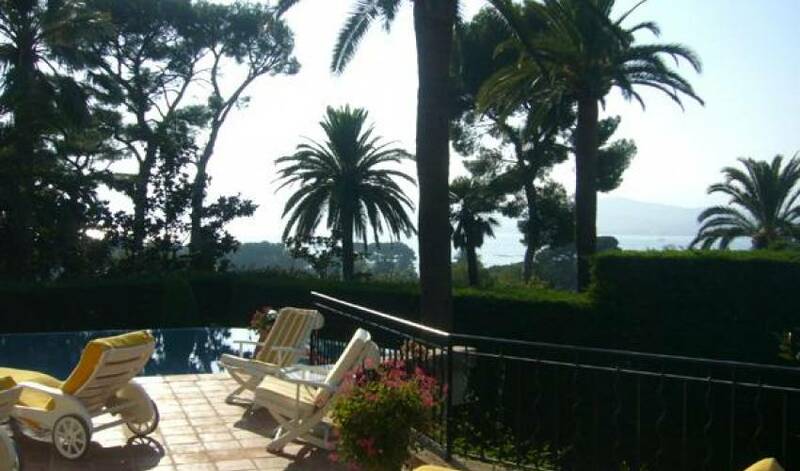 The pool area, which is tiled and partly shaded, includes a dining area with barbecue, and a good sunbathing area for guests to relax and to enjoy the views. A few steps lead down to a small lawn where younger guests can safely play and enjoy the use of a ping-pong table and a mini-football table! There is also a fully-equipped studio with a separate entrance, situated in the basement and suitable for staff or visiting guests. 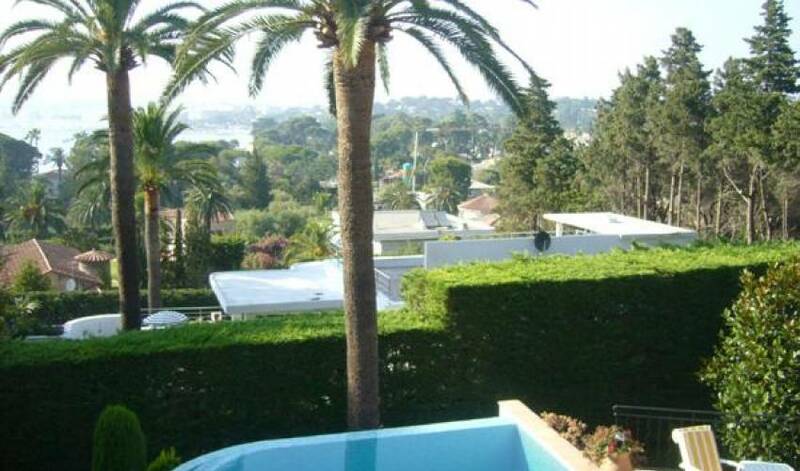 Master bedroom with king size bed, en-suite bathroom, 2 dressings and a small terrace with sea views. 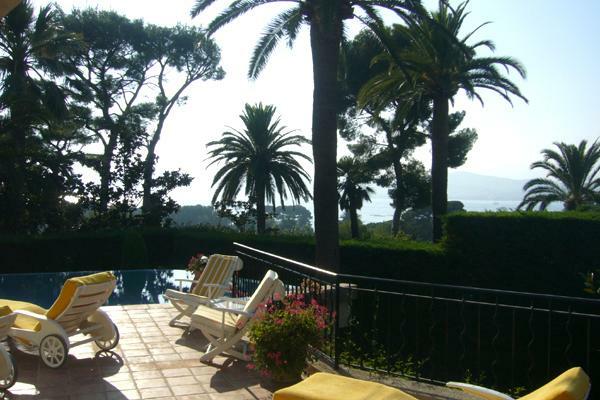 Double bedroom with en-suite shower room and a small terrace with sea views. Twin bedded room with en-suite bathroom and a dressing. Spacious living room with 3 sitting areas, one with fireplace, satellite TV and a bar area, and bay windows opening onto the pool area. Dining room seating 8 people, with French doors to pool area. Spacious play room with twin beds and doors opening onto the garden (suitable for children). An office with a sofa and a bathroom. 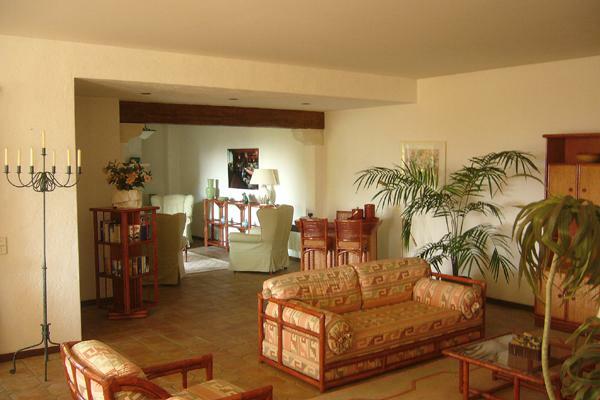 Staff apartment with a double bed, a sitting area, a kitchenette and a shower room. 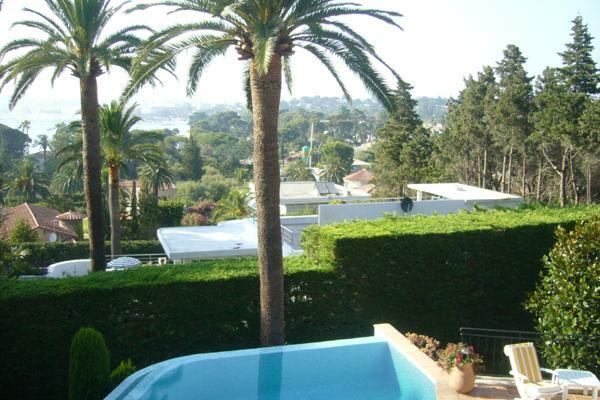 Nearest village - Juan les Pins	5 min. 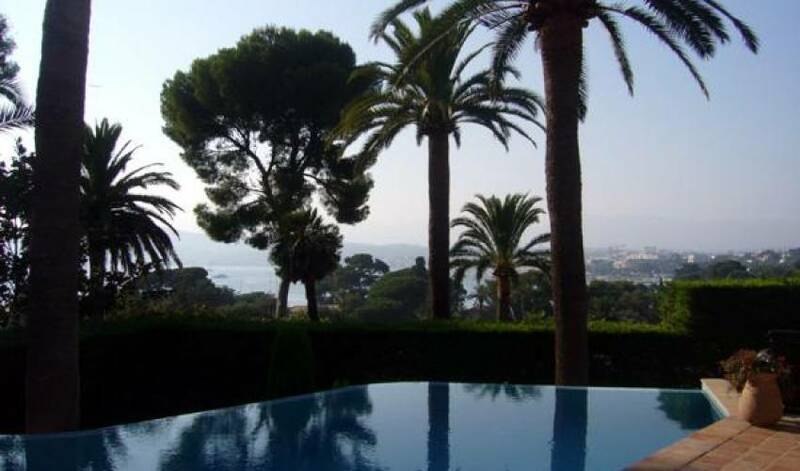 Nearest town - Antibes	5 min. 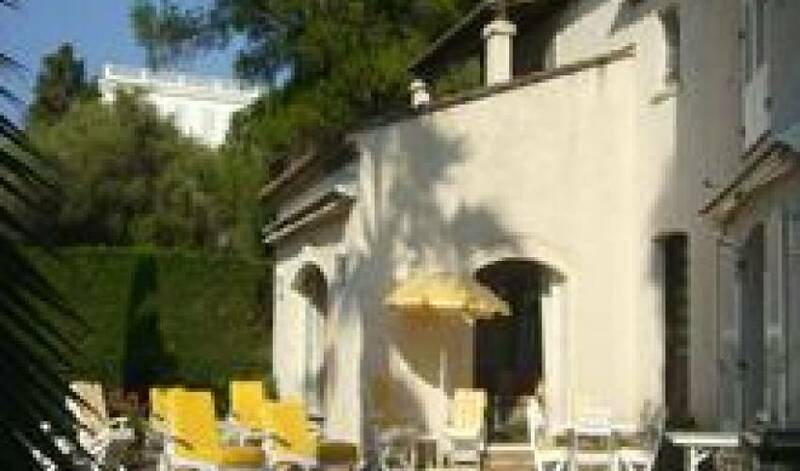 Nearest beach - Cap d'Antibes	2 min. 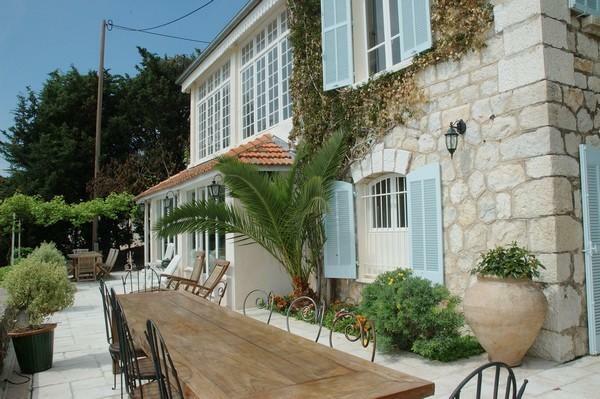 Nearest airport	- Nice	15 min.